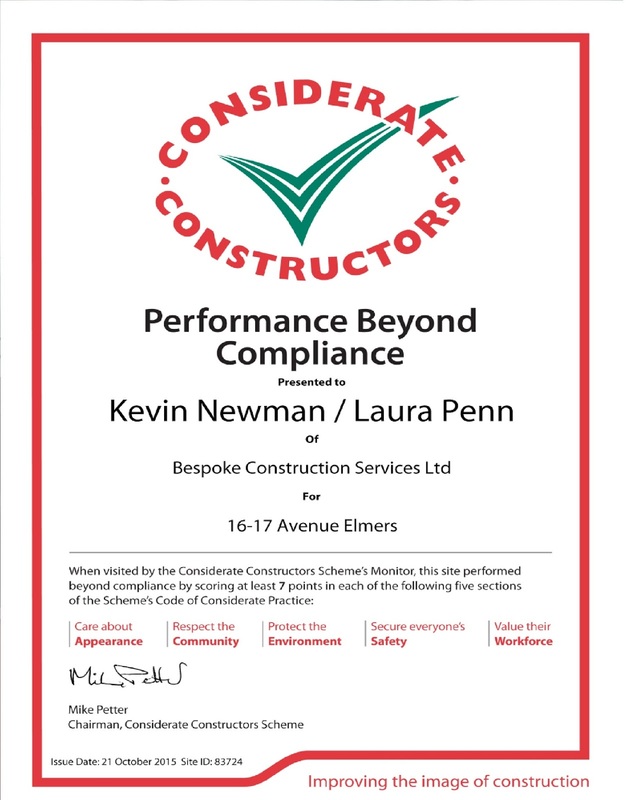 Bespoke are pleased to announce that a 2nd visit by inspectors to our Avenue Elmers project has seen us earn a 'Performance Beyond Compliance' certificate, awarded to us by the Considerate Constructors scheme. 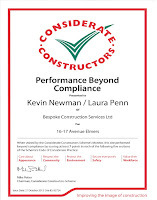 Well done to Kevin Newman and Laura Penn who have both worked hard to improve on June's 'Very Good' score report. 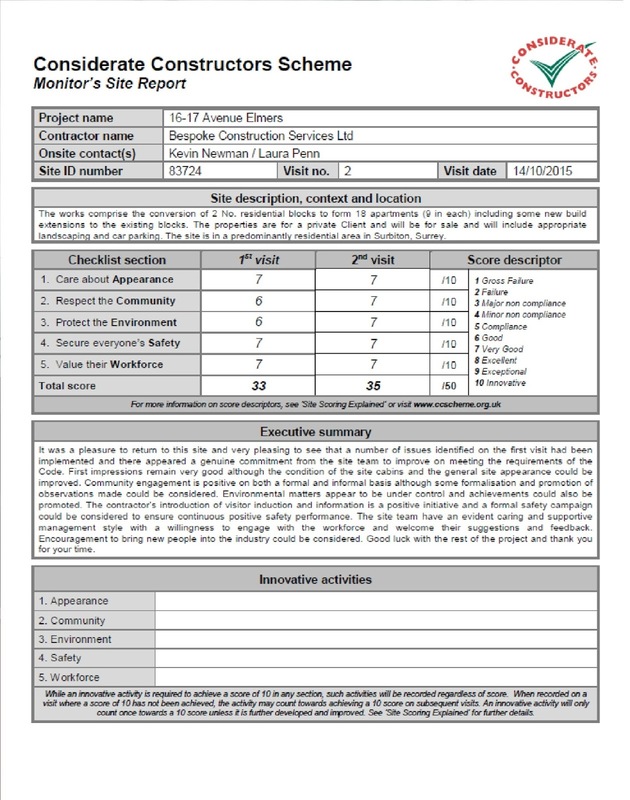 Both scores far exceed our contractual obligation but we are pleased to have strengthened our overall performance on site, and are delighted to receive such recognition for our continued high standards of work. Meanwhile, works on site continue to progress at pace with partition and plastering works now in full flow. 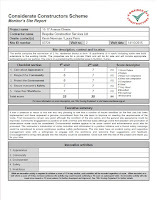 To find out the latest goings on at this £3m residential project in Surrey, please click here.